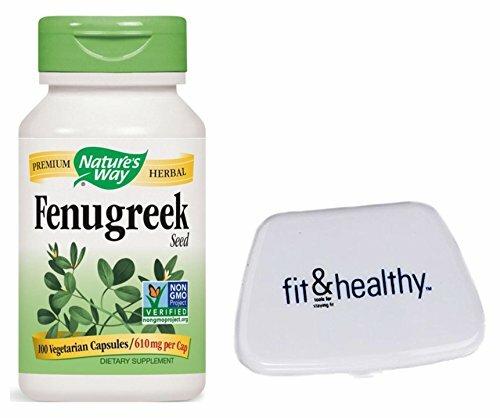 Nature's Way Fenugreek Seed 100 Vegetarian Capsules in Bundle with Fit & Healthy Pocket Pill Pack. Fenugreek is an annual Mediterranean and Asiatic herb with aromatic seeds. Fenugreek is used around the world as a culinary spice and food that is soothing to the stomach. Encapsulated Fenugreek Seed has been carefully screened and tested for potency, purity and quality. If you have any questions about this product by Nature's Way and Fit & Healthy, contact us by completing and submitting the form below. If you are looking for a specif part number, please include it with your message.